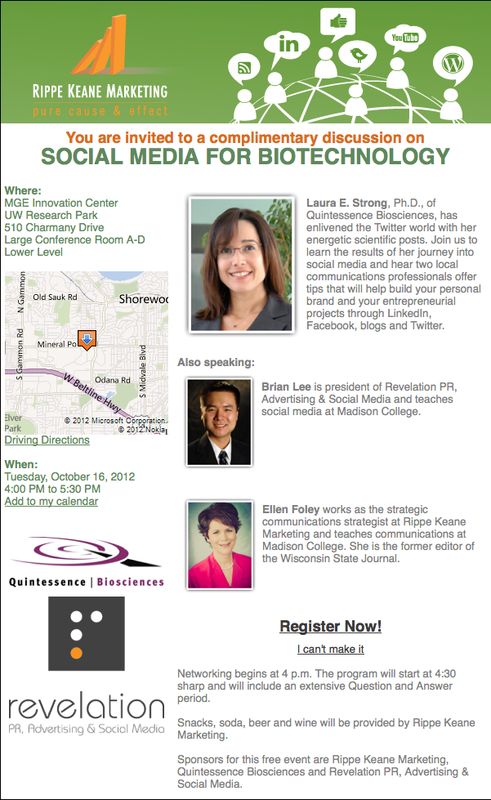 Social Media for Biotechnology Oct. 16! Join top biotech marketers and scientists. Learn how to use social media channels to share discoveries and job opportunities! RSVP at http://conta.cc/UVnNf7. Do it now!